JoMi toys - under maintenance : Vikings Longship Attack playset - Serpent Conqueror - New Pics! 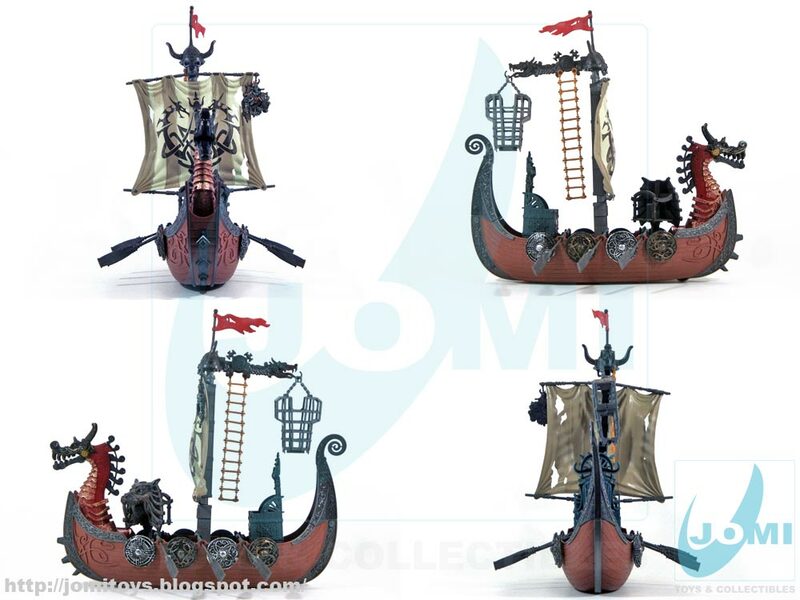 Vikings Longship Attack playset - Serpent Conqueror - New Pics! With Kenneth Branagh´s THOR movie, Chap Mei´s Vikings theme became more sought-after. Time for a deserved update on this great set! 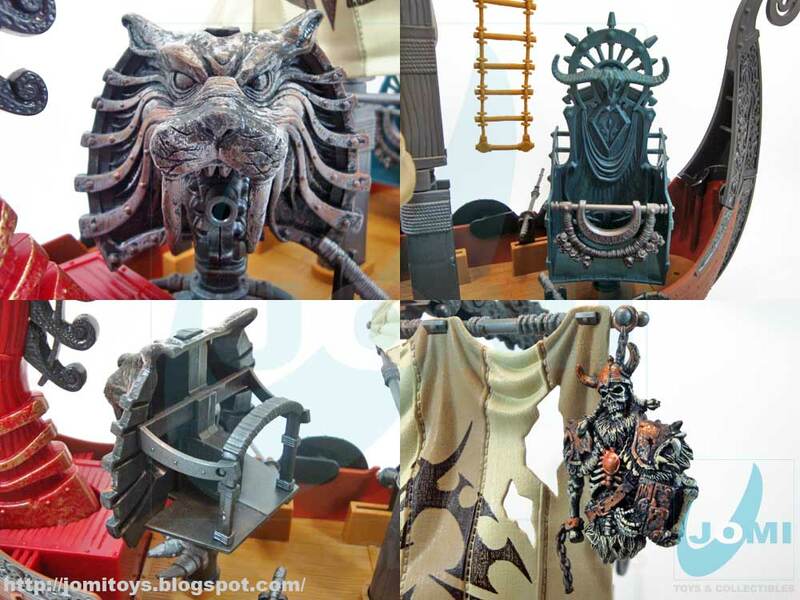 Probably the best playset from Chap Mei to date. Certainly the most impressive. Outstanding detail, fun to play battle positions and last but certainly not least, the realistic row movement. Fantastic! 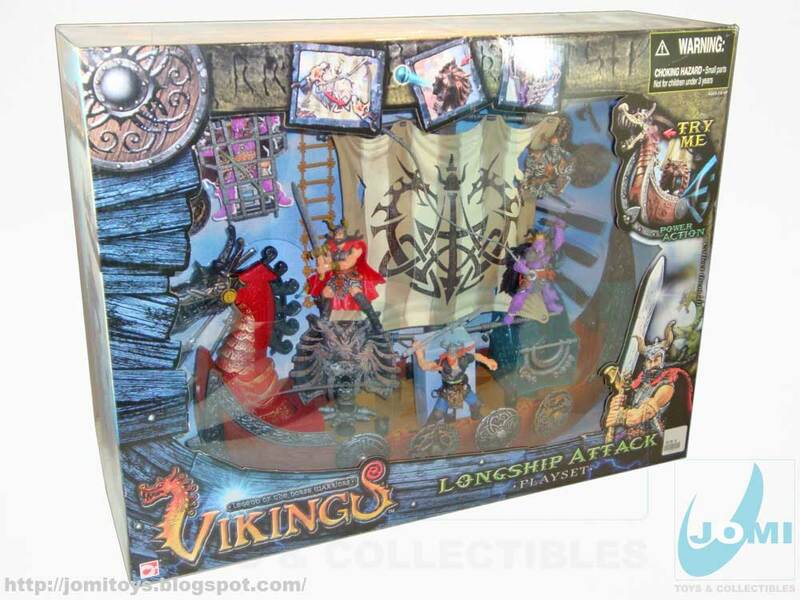 Vikings: Legend of the Norse Warriors longship! Massive, imposing, lordly, grand, and towering playset showing a right amount of respect by CM designers for the true ships of the Norse people. "Serpent Conqueror": Longship. 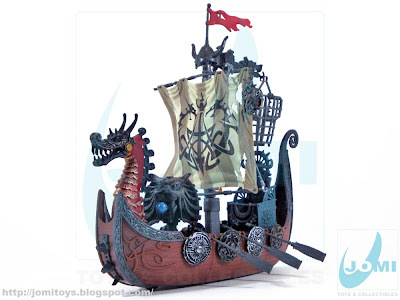 A Drakkar, or Drekar, (Viking Longship). From all the vessels they built (long story short), a Knarr, built for long voyages. You can stare at this toy for hours. It actually seems to be a great diorama piece, or even display material. 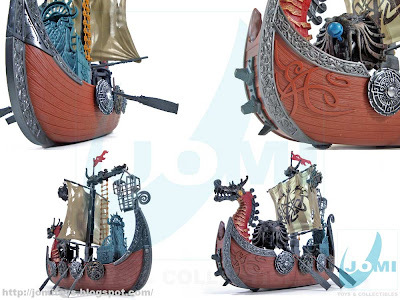 As you push the vessel, under wheels connected to the rows system, make this ship look realistically moving as the dragon´s head also moves and mouth opens. Included accessories. 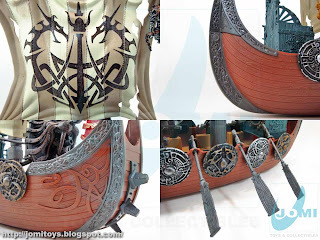 Other than the 2-piece spear/trident, all accessories are part of the longship. 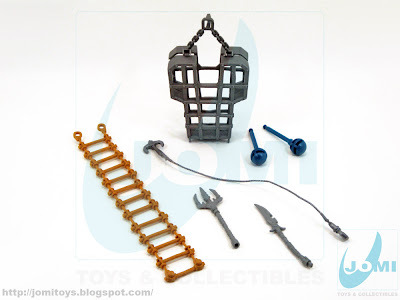 The 2 lion head cannon balls, the cage for prisoning enemies, stairs, and even a grappling hook. 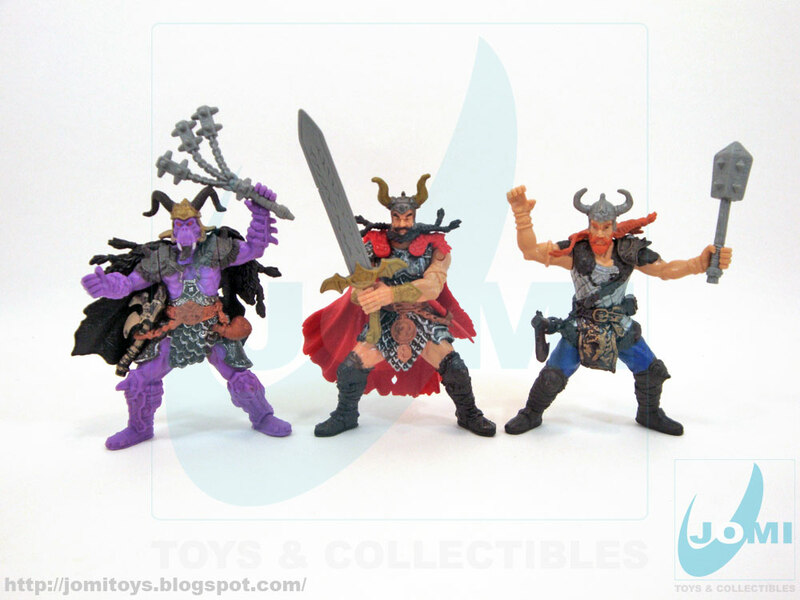 Figures: Monster Gunnar, King Harald and Oxhead Toki. Figure: Oxhead Toki. 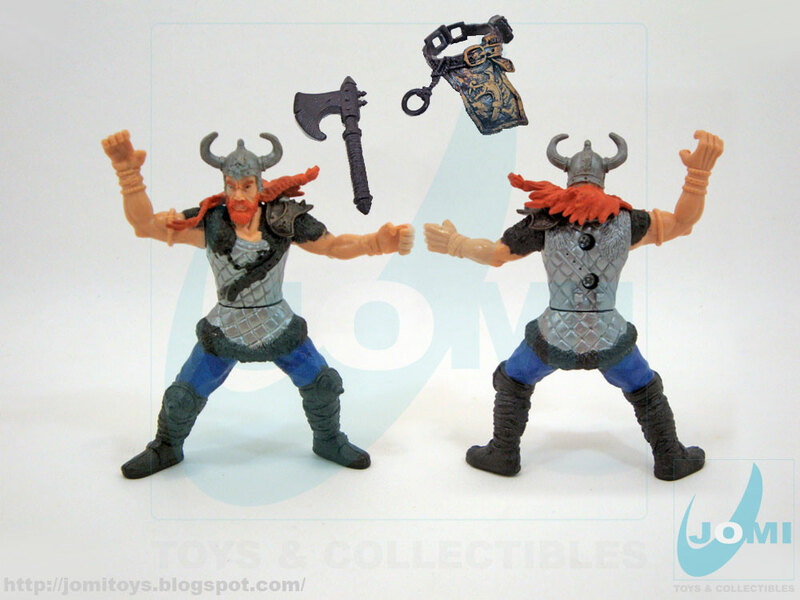 This Thor -like figure packs the usual belt+weapon Vikings figures present. A very well made figure, but limited in articulation. Detail shots. If you haven´t noticed the detail as a unique Chap Mei set, this will show enough to convince you. 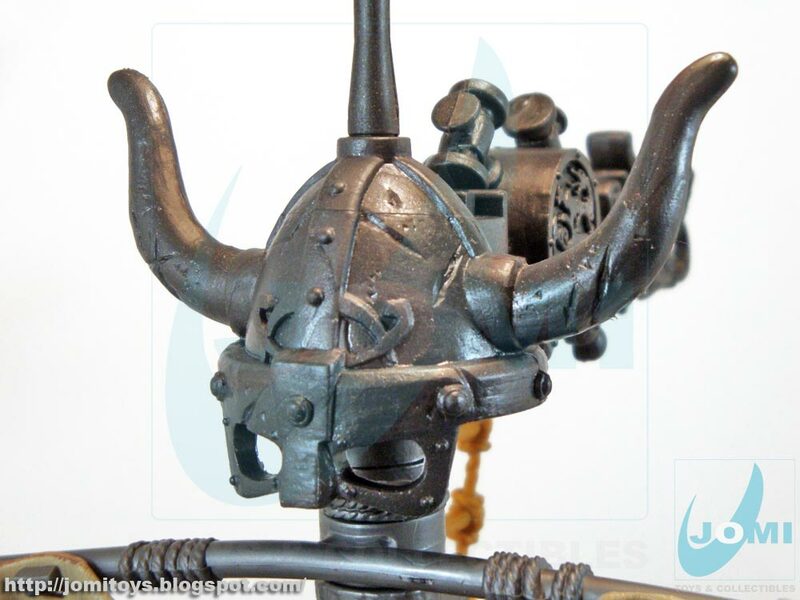 From the distinctive Viking symbol, the dragon head, to all the explendid high relief modeled forms, this is a MUST for any collector. Or Viking enthusiast for that matter. Sail with beautiful warrior graphics and all the details you may want to see on such a toy. "Playset area". The toy part of this ship. And a great one too! 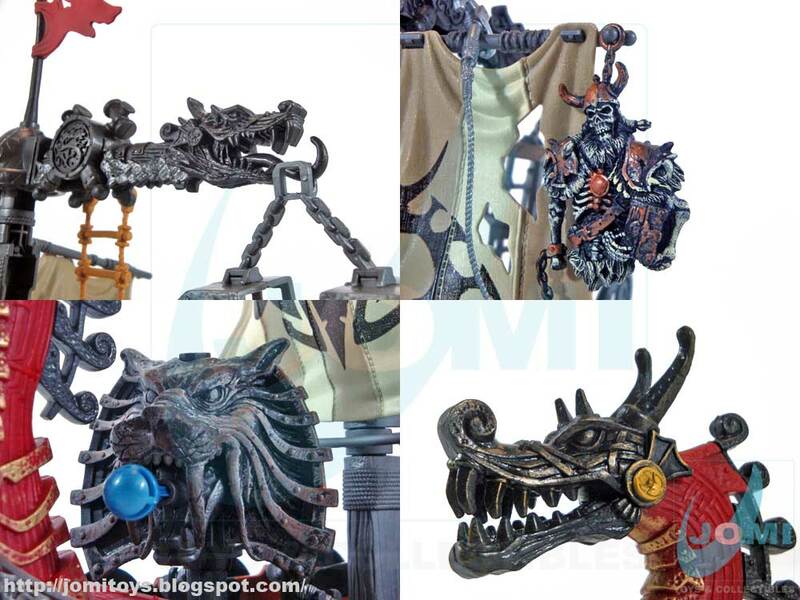 With a revolving lion head cannon, spring launches 2 projectiles towards incoming threats! A throne to carry the King, of course, and enough space to bring the whole team along. And hanging from the top, an enemy skeleton! On top of the mast, the combat symbol, the Viking helmet! 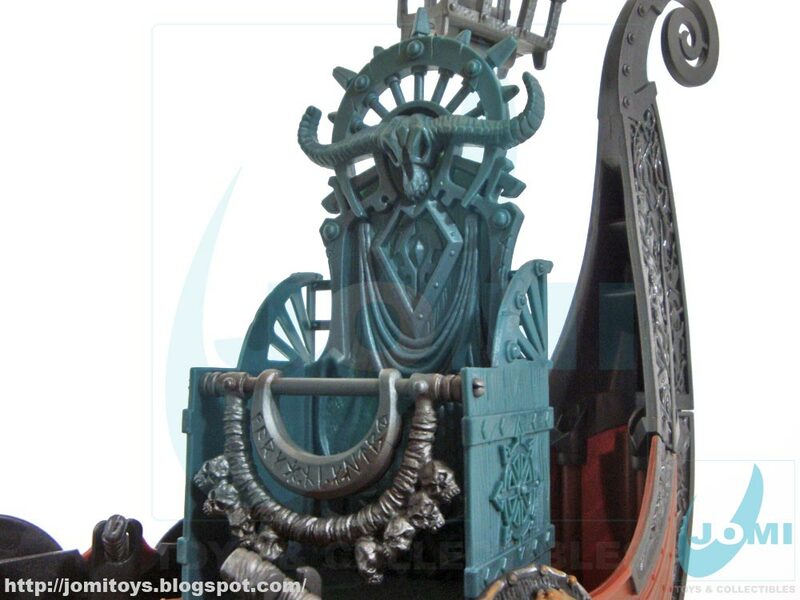 Throne details. Rotates some 120º. Notice the skulls and carved viking symbols. Wow, what agreat ship for vikings to sail the seas.